This is the most delicious dinner ever. It’s free from carbs and packs a punch. 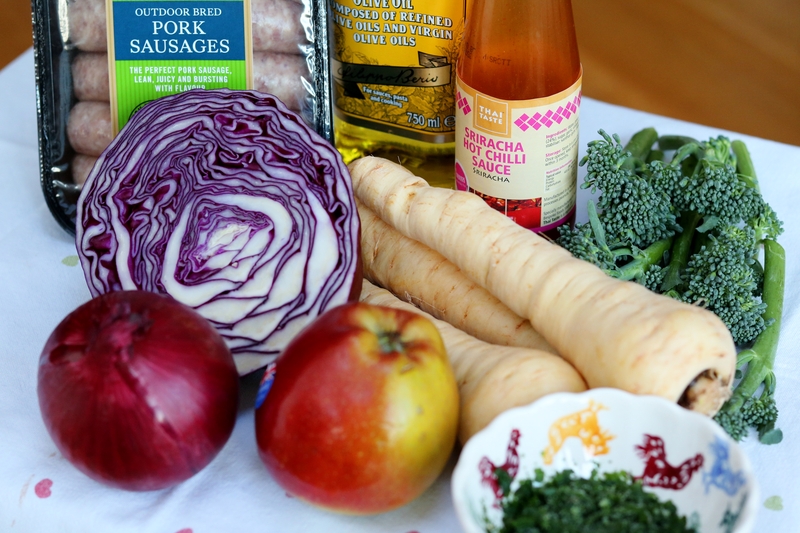 You need sausage meat, but as I’ve never seen gluten free sausage meat anywhere, I tend to use my favourite sausages and squeeze the meat out of the casings – it’s also good therapy! Heat one tbsp. 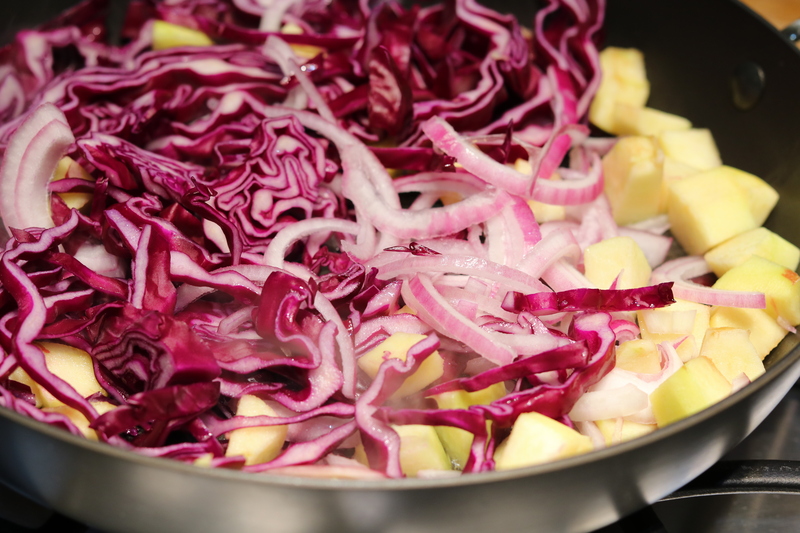 of the olive oil in a large frying pan add the red cabbage, red onion and apple and gently cook on a low heat for 15 minutes until tender, transfer to a large bowl. 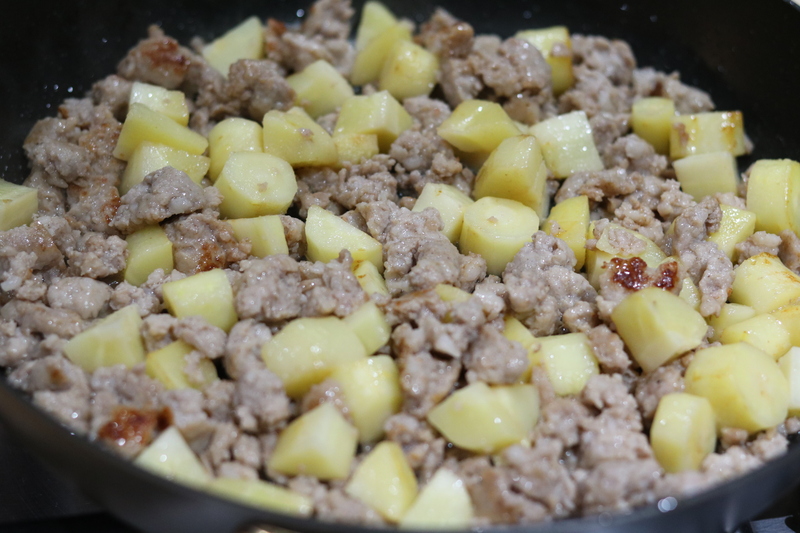 Heat the remaining oil in the frying pan and fry the sausage meat and parsnip together until golden brown, breaking up the sausage meat into smaller pieces. 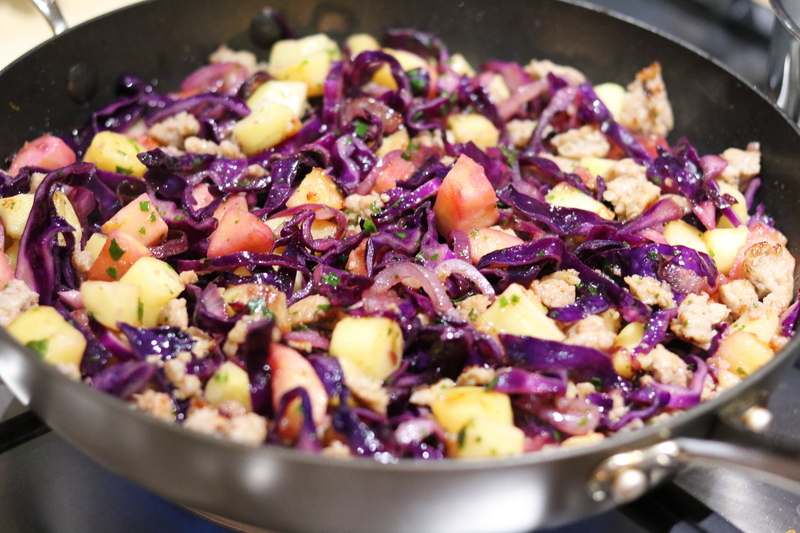 Then add the cabbage mixture back to the pan, with the chili sauce, parsley and some salt and pepper to taste. Give it a good stir until it’s cooked though. 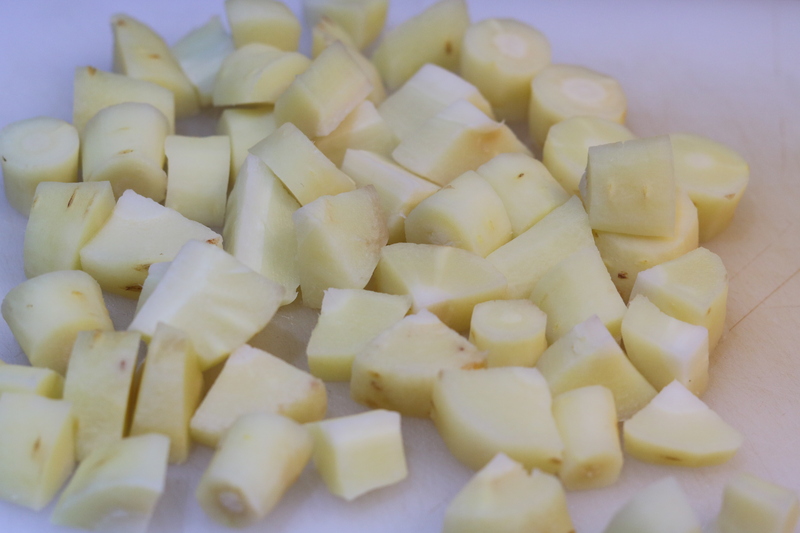 Enjoy with steamed broccoli! Previous: Previous post: Gluten Free Lunchtimes! Next: Next post: Something chocolatey and vegan!